a musical with a book by Ossie Davis, Philip Rose, and Peter Udell, lyrics by Udell, and music by Gary Geld. Based on Davis' 1961 play Purlie Victorious (which was later translated into the 1963 film Gone Are the Days! and which included all of the original Broadway cast, including Ruby Dee, Alan Alda, Beah Richards, and Godfrey Cambridge), it is set in an era when Jim Crow laws still were in effect in the American South. Its focus is on dynamic traveling preacher Purlie Victorious Judson, who returns to his small Georgia town hoping to save Big Bethel, the community's church, and emancipate the cotton pickers who work on oppressive Ol' Cap'n Cotchipee's plantation. With the assistance of Lutiebelle Gussie Mae Jenkins, Purlie hopes to pry loose from Cotchipee an inheritance due his long-lost cousin and use the money to achieve his goals. Also playing a part in Purlie's plans is Cotchipee's son Charlie, who ultimately proves to be far more liberal than his Simon Legree-like father and saves the church from destruction with an act of defiance that has fatal consequences. Although Davis did not participate actively in the creation of the musical, so much of his original script was included in the final project that Udell and Rose felt he should share credit for the book. After twenty-eight previews, the Broadway production, directed by Rose and choreographed by Louis Johnson, opened on March 15, 1970 at The Broadway Theatre. It later transferred to the Winter Garden and then the ANTA Playhouse before completing its 688-performance run. 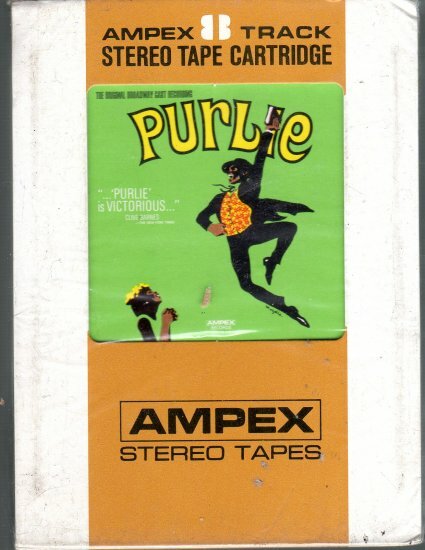 The cast included Cleavon Little as Purlie, John Heffernan as Cotchipee, Melba Moore as Lutiebelle, and C. David Colson as Charlie, with Sherman Hemsley, Linda Hopkins, and Helen Martin in supporting roles. Robert Guillaume replaced Little later in the run. After two previews, a Broadway revival directed by Rose and choreographed by Johnson opened on December 27, 1972 at the Billy Rose Theatre, where it ran for fourteen performances. Guillame and Helmsley reprised their original roles, with Art Wallace as Cotchipee, Patti Jo as Lutiebelle, and Douglas Norwick as Charlie.